Why Do People Trust the Lotto Exposed Reviews? Great things have come to our world with the Internet. International lotteries, online tools and lotto agents are some of those. While many of the opportunities you’ll find on the world wide web are legitimate, others have rather questionable objectives. Here’s where we step in! The Lotto Exposed team is here to protect you from the scams and the fraud. Our detectives work really hard to uncover illegitimate websites, lottery scams and other less than impressive lotto-related websites out there. Our reviews expose the truth and help you choose wisely. Reviews are the heart and soul of Lotto Exposed. The website is the creation of people who are experts in the field of online lotteries. Based on their knowledge and some additional research, these gurus put together lottery reviews you can trust and rely on. So what exactly do our reviews reveal and what can you learn from them? Keep on reading to find out. Lottery Reviews: How to Pick the Right Game to Play Online? Let’s start with the obvious one – lottery reviews. If you’re enthusiastic about trying new things and testing your luck, lotteries in your country are probably not enough. You’ve tried them all already and you feel bored by the prospect of acquiring yet another lottery ticket. In case the above description applies to you, the Lotto Exposed lottery reviews are just what you need. We explore lotteries from all parts of the world – from the biggest, to the smallest and the most exotic ones. Are you interested in Powerball, EuroMillions, El Gordo, SuperEnalotto and the other mega lotteries out there? Our reviews will acquaint you with the specifics of playing each one, the odds of winning and the most spectacular jackpots in the history of those games. 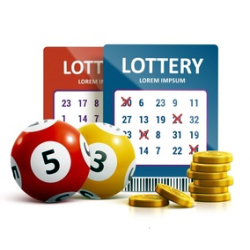 We will also take you through opportunities to play the lotteries online and potential scams. After all, a lottery that isn’t local and that you’re going to play online comes with certain dangers. The team has done thorough research to identify the most common scams relying on the respective lottery’s name. By exposing these types of fraud, we hope to keep our readers safe. The Lotto Exposed lottery reviews will also focus on some smaller, more exotic opportunities. The mega lotteries out there aren’t the only ones worth playing. Once you acquaint yourself with other lotteries from different countries, you will potentially uncover options that appeal to your lottery playing style and your financial needs. To make the information even more practical, we have included tips for winners, taxation information, as well as everything that international players need to keep in mind (as far as regulations and claiming lottery prizes go). You will also find a few facts about the national organization responsible for running the respective lottery and whether its reputation is good enough. So, let’s say you’ve heard about Sabah Lotto. You’re curious, but you really don’t know where to find additional information. The Lotto Exposed reviews are coming to the rescue. Not only will you get a lot of information about the lottery itself and its rules, you’ll also discover whether it’s possible to play online and to acquire tickets from the country where you live in. What are you waiting for? Go through our reviews and choose the lotteries that you’d like to try today. Online Lottery Agent Reviews: How to Find a Legitimate Service? Now that you’ve chosen the online lottery that you’d like to try, it’s time to find a reputable online lottery agent to acquire your tickets from. Lotto Exposed has you covered on this front, as well. There are dozens of legitimate opportunities for the online purchase of lottery tickets. Unfortunately, a few ill-intentioned individuals have also put out scams for the purpose of getting your hard-earned cash without providing anything in return. How do you know which lottery agent to trust and which one to avoid? The answer is simple – go through the Lotto Exposed agent reviews. Online lottery agents are websites helping lotto enthusiasts buy tickets for all of the games that they love. Through such services, it’s possible to get your lottery tickets without having to be in the respective country. The agent has local representatives responsible for buying tickets on behalf of the clients. Needless to say, online lottery agents aren’t created equal. Our reviews are aimed at identifying these differences and producing accurate, unbiased comparisons of the available services. Our lottery online agent reviews are updated on an annual basis to give you a good idea about services that are still reliable and considered reputable by their customers. We work hard to assess new opportunities and compile the ones that we believe are going to be useful and beneficial to our readers. The comment section underneath each lottery agent review is also a useful source of information. It’s your chance to share your experience, ask additional questions or learn from the experience of others who have already bought tickets through the respective website. If you take a look at some of the older online agent reviews, you’ll see that lively discussions have occurred and there are tens of interesting comments to go through on top of the original information. The online agent reviews are organized by rating – starting from the best to the worst. Since things do change through the years, you’ll also find out whether the respective agent is still functional or whether they’ve gone out of business. Needless to say, you can always ask us questions or make suggestions concerning online lottery agents that you’d like to see reviewed. It’s our ultimate goal to create the most comprehensive online resource of information for lottery enthusiasts across the globe. Your input will be invaluable for the expansion of the review library! Lottery Tool Reviews: Will Software Help You to Win the Lottery? Now that we’ve discussed the essentials, let’s move on to some additional opportunities lottery enthusiasts can find beneficial. In the very beginning of your lottery playing, you may rely on pure luck to hit that jackpot. Unless you’re the luckiest person on the face of the planet, you’ll realize sooner or later that the approach isn’t the best one out there. This is when you may begin developing a strategy. Lottery winning strategies often rely on tools and analytical software for the purpose of improving your odds. Some of these tools are effective, others will fail miserably. Obviously, it’s our job to sort through the lottery tools out there and let you know which ones will do a good job and which ones are a simple waste of time. The truth of the matter is that lottery tool reviews are the most challenging ones to do. There are dozens of apps and websites out there. These tools are pretty diversified and they have to be tested thoroughly before every single review comes into existence. Our tools archive is pretty rich and pretty diversified. Just like the lotto agent reviews list, this one is organized by rating. The tools that we deem to be the best will appear on top of the list and the rating will progressively decrease. You may be wondering about the types of tools that we’ve reviewed. There’s something for just about everyone in here. 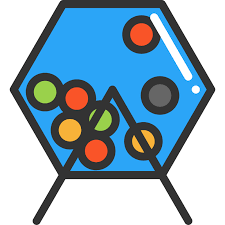 The list features a jackpot graphs application that compares and predicts the next potential jackpot for a lottery of preference (so that you know whether buying a ticket for the respective drawing is worth it). 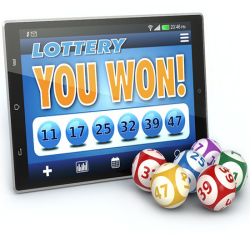 There are apps that will allow you to play some of your favorite lotteries via your phone. There are predictors that take a look at the hot and the cold numbers for different lotteries from all parts of the world. Based on such an analytical tool, you can easily choose the digits that will improve your odds of winning. Once again, each tool review has an open comment section. It allows people who have tried the respective app to share their opinion and whether the experience was a positive or a negative one. Thus, on top of the impartial information that we have curated for you, there will also be personal testimonials that can shed additional light on what it’s like to rely on the respective lottery tool. Prize Reviews: Can You Really Get Something for Free? Are prizes your passion? Are you one of those people who love winning something online (or via a scratchcard? Or via a lottery?)? We get you 100 percent and we’ve focused our review efforts on identifying some of the best prizes out there. The Lotto Exposed prize reviews take a look at a wide array of opportunities – from coupons to cars and cash sums. We examine different websites and different winning opportunities so that you don’t have to test them out on your own. Over the years, we have reviewed some of the most popular prize websites out there. As new opportunities appear, our archive continues to grow. Needless to say, you can use the comment section to share a bit more about your experience or to get in touch with us and suggest a certain review to be written. Most people worry that sweepstake and prize websites are a complete scam, but this isn’t the case. While many of these portals are indeed shady, some have been around for years and they have managed to maintain a good reputation. It’s our job to identify the legitimate opportunities, and to write prize reviews about those. Every single text is impartial and based on a lot of research and even some personal experiences. By giving you both the pros and the cons, we will make it easier for you to come across the sweepstakes and prizes worth a try. Are Lotto Exposed Reviews Trustworthy? All of this sounds great – our reviews are diversified and comprehensive. They give you useful tips and a summary of the information that you’ll have to search extensively via online search engines. What does it take to know that our reviews are trustworthy, however? Can you count on the information that we provide to make your lottery and online tool selections? The answer is simple – yes! Chances are that you’d like to get the justification behind this positive appraisal. Here it is! Lotto Exposed has been around for numerous years. Over time, the website has turned into a massive resource of information for lottery enthusiasts. We started with a few entries in each list. Today, we have a massive collection of lottery, agent and tool reviews. We are an independent source of information. This means that we’re not sponsored by anyone in order to push their product. Just take a look at the comments underneath our reviews. Most often, people who have tried the respective lottery or app agree with our review and provide additional information that solidifies the accuracy of the data that we provide. Lotto Exposed is a project based on the experience and the enthusiasm of people who are professional writers and researchers. On top of that, we are lottery enthusiasts. We share the same passion that you have. We also understand the information a lottery player needs and finds useful. Because of this background, we believe that we have managed to put together a resource that’s unparalleled. Playing lotteries online is a lot of fun because it opens up a world of new opportunities. If you’re from a small country or you don’t enjoy the local lotteries, trying something international is definitely worth considering. At the same time, there are multiple dangers out there. People have lost a lot of money due to lottery scams and fraud schemes that they naively fell into. What does it take to find the right lottery? What does it take to buy international lottery tickets without worrying about funds being drained from your bank account? Lotto Exposed has one mission – to help you find these answers through a series of comprehensive, accurate and frequently updated reviews. Please don’t hesitate to take a look at our lottery, online agent and tool reviews to get a better idea about what we do and how we approach such topics. We’re also eagerly awaiting your feedback – we believe that communication with our readers makes us better and stronger. Don’t hesitate to give us suggestions for new reviews to add to our extensive collection or upgrades we could potentially make to the existing texts. We will love to hear from you and good luck! I seriously recommend Wshful, if you want an honest and customer caring well thought out syndicate company then look no further. 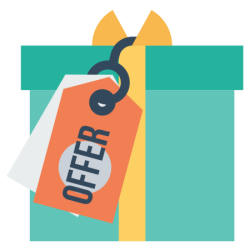 They have just introduced a fantastic loyalty scheme which is a great way to improve your odds further or put your name in the hat for some fantastic prizes. We all know that winning a jackpot is seriously odds against but with the serious value given per line across some of the biggest jackpots on offer ill still be smiling even if its shared with other members. With the amount of lines covered for peanuts to compared to your own individual shop purchasing of £2.50 a line it’s a not even worth the debate. Its an absolute must join from me to others looking in. 5* all day long. Well done to the organisers.